Based on his study of the sutra, Nichiren established the invocation (chant) of Nam-myoho-renge-kyo as a universal practice to enable people to manifest the Buddha nature inherent in their own lives and gain the strength and wisdom to challenge and overcome any adverse circumstances. Nichiren saw the Lotus Sutra as a vehicle for people’s empowerment—stressing that everyone can attain enlightenment and enjoy happiness in this world. He first chanted Nam-myoho-renge-kyo on April 28, 1253, and later inscribed the mandala of the Gohonzon (the object of devotion to enable people to perceive the enlightened life state of the Buddha in graphic form). 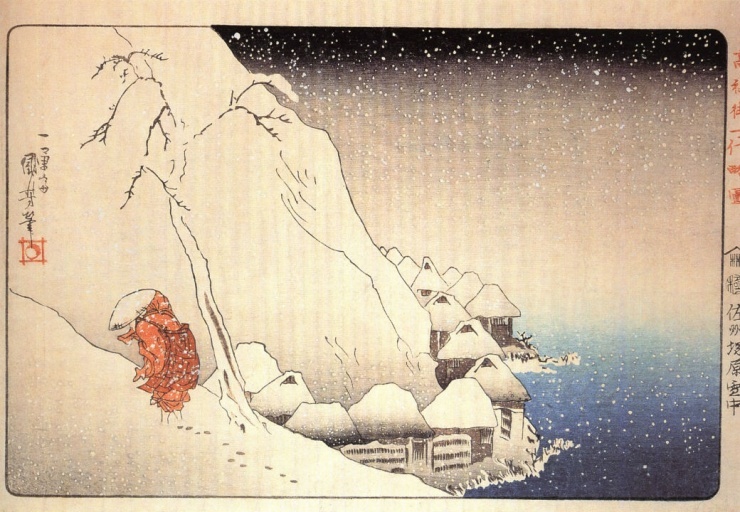 In 1260, in the wake of a series of devastating natural disasters, Nichiren wrote his most famous tract, the “Rissho Ankoku Ron” (On Establishing the Correct Teaching for the Peace of the Land). He presented this treatise to the highest political authorities of Japan and urged them to sponsor a public debate with representatives of other schools of Buddhism. The call for public debate—which Nichiren would repeat throughout his life—was ignored, and he was banished to the Izu Peninsula. The years that followed brought further banishment, and ultimately an attempt to execute him on the beach of Tatsunokuchi near Kamakura, seat of the military government. By his account, moments before the executioner’s sword was to fall, a luminous object—perhaps a meteor—traversed the sky with such brilliance that the terrified officials called off the execution. Nichiren was banished to Sado Island where, amidst extreme deprivation, he continued to share his teachings and write treatises and letters. Following a pardon, Nichiren returned to Kamakura and then retreated to Mount Minobu, where he wrote copiously to clarify his interpretation of the Lotus Sutra and to encourage his individual followers—both men and women—who often wrote to him for advice. He also focused on training his successors. During this period, converts to Nichiren’s teachings were harassed and attacked, and three were executed in 1279. The fact that these peasant followers remained steadfast in the face of persecution inspired in Nichiren the confidence that his teachings would be maintained and practiced after his own passing. Where he had to date inscribed Gohonzon for individual believers, he now inscribed a mandala explicitly dedicated to the happiness and enlightenment of all humankind. Nichiren died of old age three years later. Nichiren’s legacy lies in his unrelenting struggle for people’s happiness and the desire to transform society into one which respects the dignity and potential of each individual. Today, SGI members throughout the world chant to the Gohonzon he established and study his letters and treatises to deepen their understanding of how to apply Buddhism to the challenges of daily life.